President Donald Trump is removing the director of the U.S. Secret Service, the agency that provides protection for him and other top U.S. officials, the White House said on Monday, a day after the ouster of Homeland Security Secretary Kirstjen Nielsen. 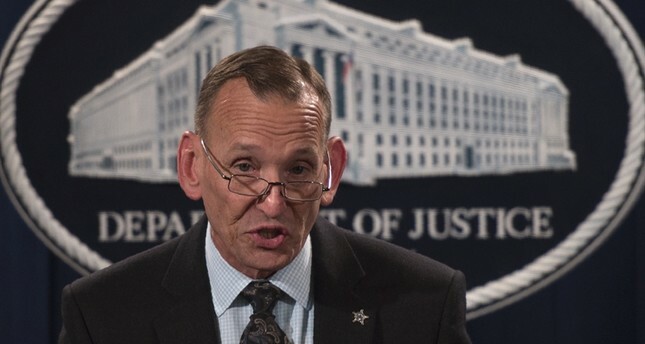 The dismissal of Secret Service Director Randolph "Tex" Alles comes amid major leadership changes at the sprawling Department of Homeland Security. The Secret Service director reports to the Homeland Security secretary. The agency came under scrutiny last week after a Chinese woman carrying electronic devices was charged with bluffing her way through security checks at Trump's Mar-a-Lago resort in Florida. Chuck Schumer, the top Democrat in the Senate, called for Alles to testify before Congress "as soon as possible about the potential security vulnerabilities at Mar-a-Lago ... and other counterintelligence and national security threats." "We are dealing with a humanitarian and security crisis at the border because Congress failed to act," said Ron Johnson, the chairman of the Senate Homeland Security Committee. "In addition to congressional dysfunction, I am concerned with a growing leadership void within the department tasked with addressing some of the most significant problems facing the nation." The removal of Alles marked the latest in a long line of firings and resignations of senior officials in the Trump administration, a list that has included the secretaries of state, defense, homeland security, interior, veterans affairs and health and human services, the attorney general and numerous senior White House aides. The first sign of Trump's overhaul of Homeland Security came late on Thursday, when he abruptly pulled his nomination of Ron Vitiello as director of U.S. Immigration and Customs Enforcement, part of DHS. Trump described that move as part of a policy change "going in a tougher direction." Nielsen, who oversaw Trump's bitterly contested immigration policies during her tumultuous 16-month tenure, resigned amid a surge in the number of migrants at the border with Mexico. Her departure had been long rumored particularly after criticism of the administration's 2018 family separation policy at the border with Mexico and as U.S. border officials estimated that 100,000 migrants were apprehended at the southern border in March, the highest level in a decade. Trump was so frustrated about the increase that he announced he would cut off U.S. aid to Guatemala, Honduras and El Salvador. A senior administration official said Trump asked for Nielsen's resignation when the two met at the White House on Sunday. Trump also announced that Kevin McAleenan, the U.S. Customs and Border Protection commissioner, would become acting DHS secretary. CNN reported that Trump in recent weeks empowered his hard-line conservative aide Stephen Miller to lead the administration's border policies, and reported that L. Francis Cissna, director of the U.S. Citizenship and Immigration Services agency, and department General Counsel John Mitnick were also expected to soon leave their positions.